We’ve broken down the somewhat convoluted history of Alexandre Darracq’s early automotive mini-empire. We wrote mainly about the differences and lineage of the French and English Darracqs. But we never mentioned the Italians. Internal combustion Darracqs first appeared in the year 1900. By 1903 the company was doing well and Darracq decided to expand his business into other countries (he already had Germany covered because of a deal with Opel). The U.K. followed in 1905 and Italy in 1906. The company was established in a suburb of Milan. The cars (this one included) were built in France and assembled in Italy. Darracq closed the Italian branch in 1910 and it became A.L.F.A. – which would become Alfa Romeo (just another piece of automobile history that Darracq had its hand in). The engine is a 1.5-liter straight-two making between eight and 10 horsepower. This car is all original and is believed to be one of two in existence. It is expected to sell for between $26,000-$39,000. Click here for more info and here for more from Osenat. 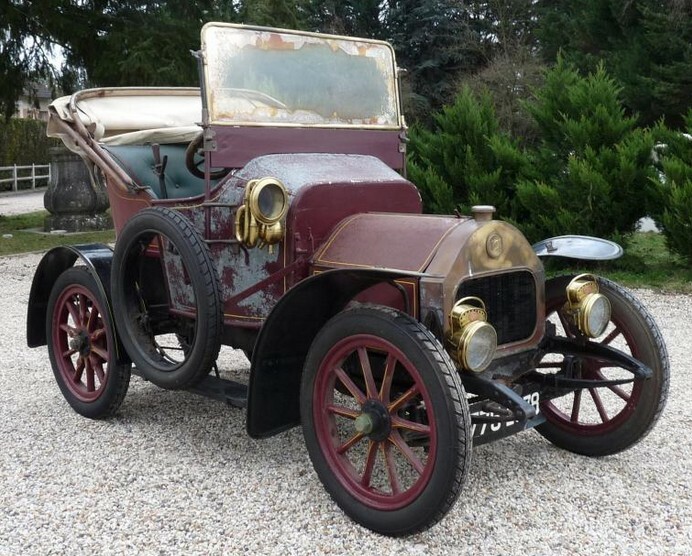 This entry was posted in Uncategorized and tagged 1907, auctions, cars, classic cars, darracq, darracq-italiana, osenat by ClassicCarWeekly. Bookmark the permalink.